Andie hates when I make desserts, because my favorite dessert in the world is apple cinnamon anything. I love it! I could have it everyday! 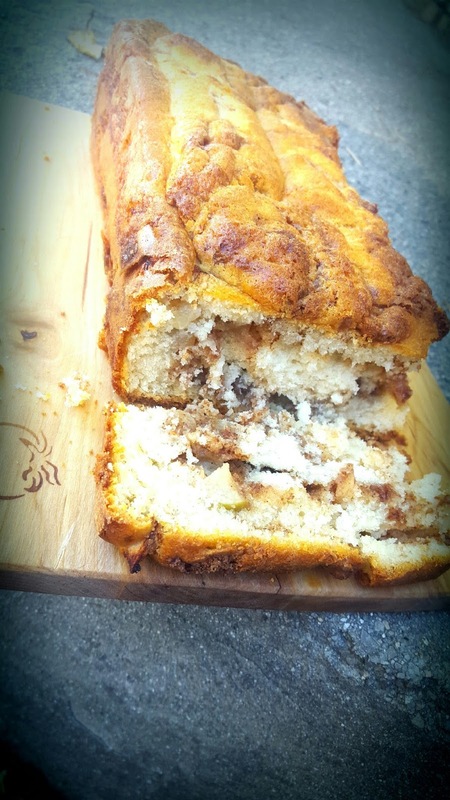 I decided to make apple cinnamon bread, turned out more like a cake! This tasted so good! I really enjoyed it and I am totally going to make it again! So should you! 2. Grease and flour a 9×5 inch loaf pan. 3. Mix brown sugar and cinnamon together in a bowl and set to the side. 4. In a stand mixer, cream together white sugar and softened butter. Add in one egg at a time and then add vanilla. Mix until blended. 5. Add flour and baking powder, then milk. 6. Pour half the batter into the pan. Take half of the apples and press into the batter, then dump half of the brown sugar/cinnamon mixture on top of the apples. 7. Dump in the remaining batter and repeat with the apple and brown sugar mixture. Pat down the apples and sugar. 8. Bake for 50 minutes or until a toothpick comes out clean. 9. Cool in the pan for 20 minutes, run a butter knife around the edges then dump onto the cooling rack. Cool completely before cutting and serving. This looks delicious, perfect for fall! 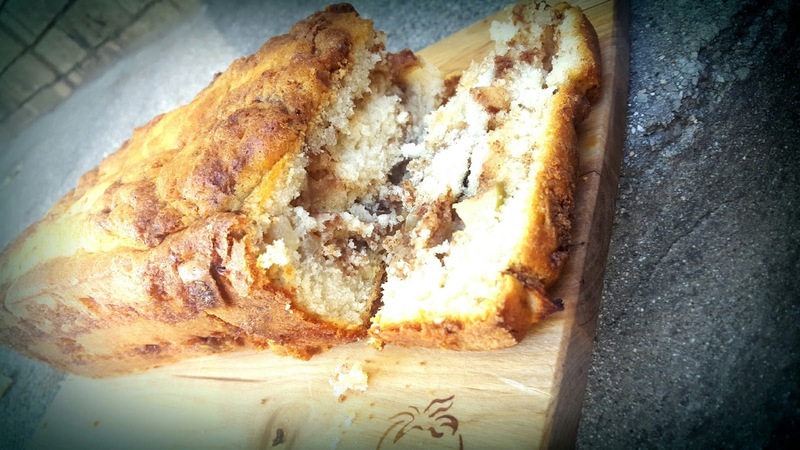 Looks so good – I will be "apple picking" next week and will also be making some!! Yummy!! 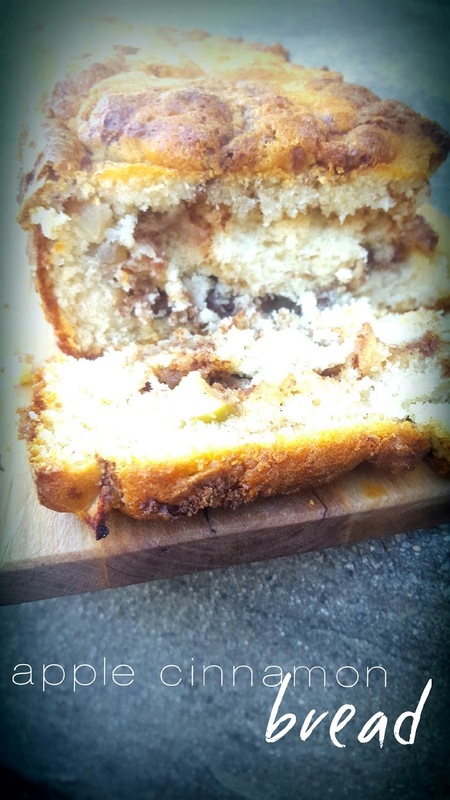 Now this is another sweet bread that I will make for breakfast!! Thanks for sharing on My 2 favorite Things Link Party!! Come back again!! Pinned! I would just love a slice of your Apple Cinnamon Bread with my morning coffee. Thanks so much for sharing with Full Plate Thursday, and hope you have a great day.